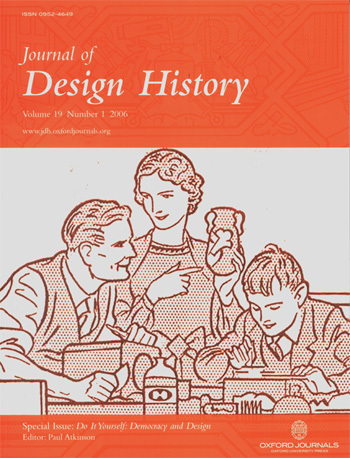 'Labour as Leisure—The Mirror Dinghy and DIY Sailors' by Andrew Jackson is an an academic article which appeared in volumn 19, issue 1 (Spring 2006) of the Journal of Design History. 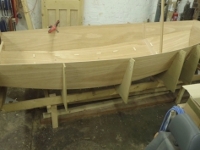 The Mirror was conceived in 1962 by Barry Bucknell as a kit boat for amateur woodworkers. Bucknell was the first popular DIY expert, appearing on television programmes throughout the 1950s and 1960s. He played a major role in the popularization of home improvement as a leisure activity, particularly amongst men. In collaboration with Jack Holt, a yacht designer, he also managed to revolutionize the previously elite sport of sailing. 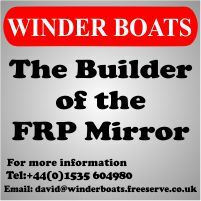 This paper explores the place of the Mirror dinghy in the development of the post-war male's role in the home. Working with frameworks drawn from social and cultural theory, it argues that DIY and the home workshop acted as means of integrating men into family life, whilst simultaneously preserving existing masculine role models. The paper concludes that the success of the Mirror dinghy can act as a representation of increased social and economic autonomy for large sections of the British population in the last half of the twentieth century.